Voted Best Hospital by U.S. News and World Report, the Medical University of South Carolina (MUSC) is South Carolina’s only comprehensive academic medical center. 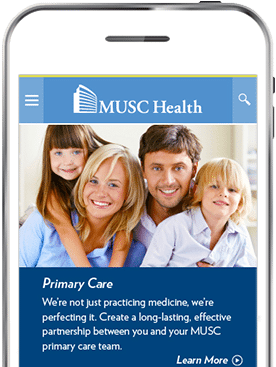 With the continuous evolution of healthcare, MUSC Health needed an online presence that could keep up. 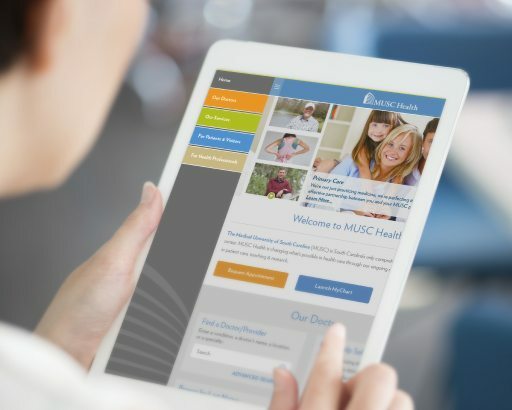 Our team was responsible for helping MUSC Health establish a strong website that was functional and easy to navigate. 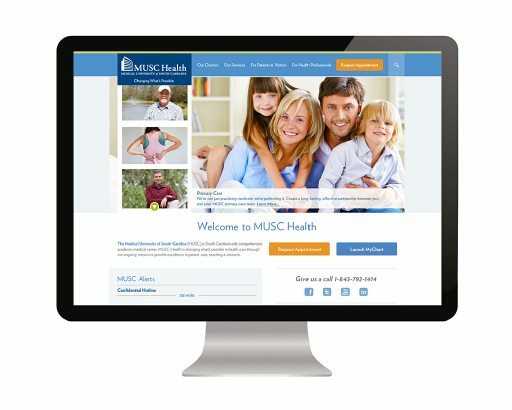 For the MUSC Health website, we wanted to create something that would be extremely user friendly. 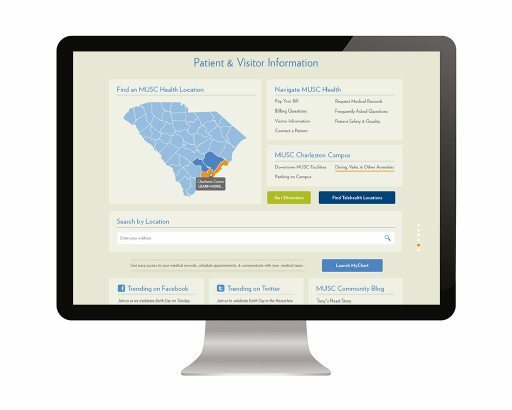 Whether you were a doctor, patient, health professional or simply someone interested in learning more about the work MUSC Health was doing the community, we wanted to build a website that would cater to each visitor’s immediate needs. 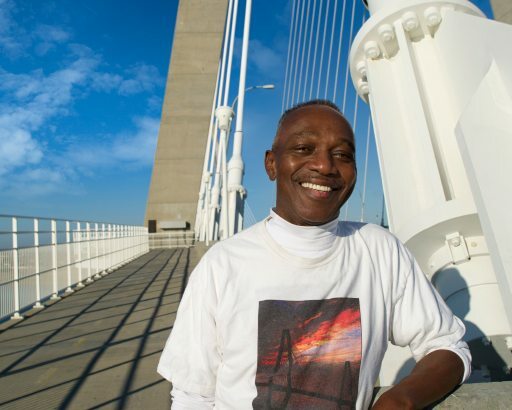 In doing so, we were able to help more people connect to the MUSC Health team. Hours Dedicated to Helping "Change What's Possible"
"The site is a really nice evolution...it fits in very nicely. Overall, I am very happy with the work TRIO did. So thank you!" MUSC is changing what’s possible in healthcare through its ongoing mission to provide excellence in patient care, teaching and research. With more than 100 outreach locations, clinical affiliations with numerous health care partners and a robust Telehealth network, MUSC Health sees more than one million patients each year.